Vasant Gajera was today arrested on the basis of the FIR after ACP (F Division) investigated the matter. Vasant Gajera was summoned to Umra police station and was arrested after questioning, an official said. 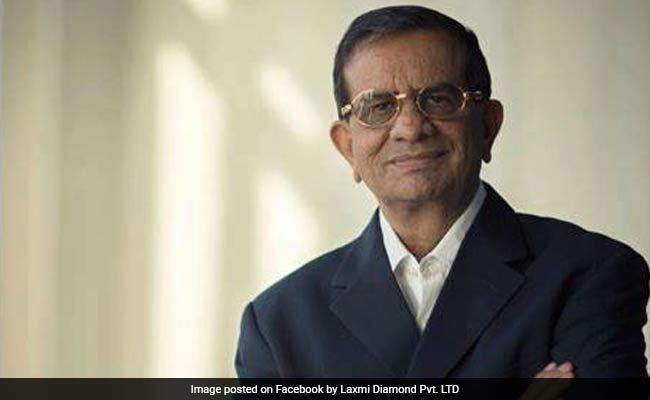 Surat: Prominent diamantaire Vasant Gajera, owner of jewellery manufacturing firm Laxmi Diamond, was today arrested for allegedly forging property documents to usurp a piece of land in Vesu area of the city, police said. He is the brother of Congress leader Dhiru Gajera who unsuccessfully contested the December 2017 elections from Varachha Road constituency in the city. Mr Gajera was summoned to Umra police station and was arrested after questionning, an official said. In a complaint lodged against Mr Gajera in 2003, one Vajubhai Malani claimed that the former had forged the documents to usurp his land and constructed a compound wall around it. Mr Malani later moved the high court after police failed to act on his complaint. Stating that an offence was made out against Mr Gajera, the high court had ordered police to register an FIR. "Vasant Gajera was today arrested on the basis of the FIR after ACP (F Division) investigated the matter," DCP Vidhi Chaudhary told reporters. He was booked under sections 468 (forgery for the purpose of cheating), 471 (using as genuine forged documents), 120 (B) (criminal conspiracy) of the IPC, said Umra police station inspector S B Bharwad.